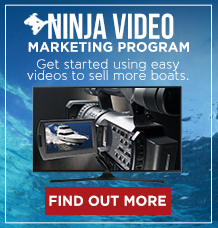 We help busy family owned boat dealership owners and managers stop wasting time and money on marketing that isn’t working... And get them the most out of their marketing dollars with the right approach on the right channels (Facebook, Google, Boat Trader, Etc) to reach their exact boat buyers so they can sell their inventory faster for higher prices, cutting interest and curtailment payments, skyrocketing their profits and give them more predictability, more confidence and more time to enjoy the business… even if they've never had success with marketing in the past! 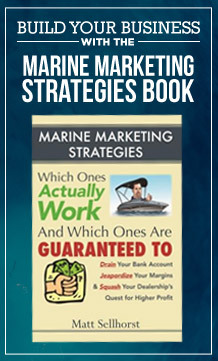 Have you talked about developing a complete A to Z marketing plan for your boat dealership that is appropriate for 2019? Write those powerful follow-up email templates? Develop a rock-solid lead generation game plan? Generate a preponderance of social proof with a bunch of new Facebook and Google Reviews? Create a persuasive communication strategy? Implement a sales process? Update your website with powerful sales messages that actually pre-sell your prospects before they ever walk in to your dealership? Incorporate more video? Develop a digital marketing game plan? And on... and on... and on! Its a HUGE undertaking. If done the traditional way, it takes forever! 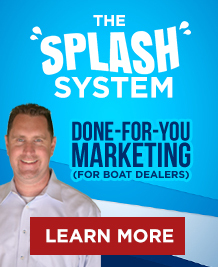 That's where our SPLASH System(TM) saves you time... delivers a more powerful end product... and actually gets implemented driving more profit to your boat dealership! 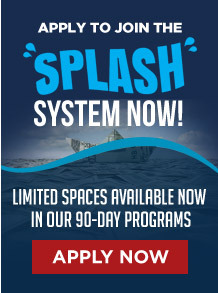 Discover how you can add $50K or more profit in the next 12 months GUARANTEED with our SPLASH System(TM). 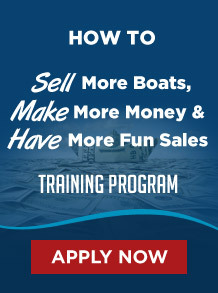 This program is designed for family owned boat dealerships looking to make a huge step up in their sales and marketing systems like so many others just like you are doing!. 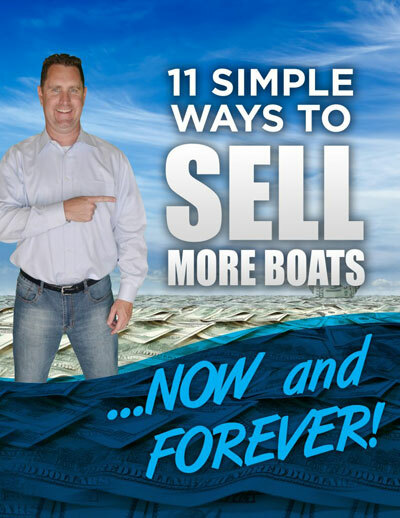 Stop wasting money on ineffective marketing, stop wasting money on unqualified leads and stop losing sales because your sales staff gets busy in the prime selling season... and start Selling More Boats, Making More Money and Having More Fun! 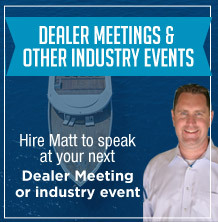 Click here to see how you can be added to the wait list of dealers. 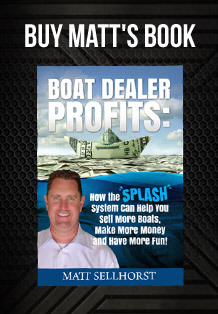 Much of the boat sales world is changing... yet, the fundamentals are still important. If you have a new sales person who needs one-on-one attention (but you just don't have time)... or a sales team that needs a 'shot in the arm' to get up to their full potential, our custom sales training program is the answer. 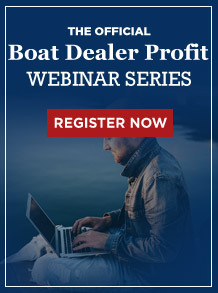 Click here schedule a call with Matt Sellhorst to discuss your boat sales training needs so he can prepare a customized sales training package to help you boost your dealership's sales success. Tired of missing out on all the additional business because you're not doing digital marketing. Or, not doing it right? 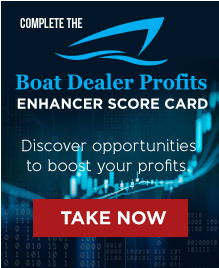 Too many family owned boat dealers are wasting money on digital marketing with poor strategy or unqualified traffic and leads. Others are missing the opportunity all together because its just too overwhelming with too many choices. And, with the ever changing digital marketing landscape, its nearly impossible to keep up. Even if you have a 'Marketing Coordinator' that does a good job... how can they know what's working and what's not? Discover how our "Done-for-You Digital Marketing Agency" can implement a profitable digital marketing strategy utilizing the right combination of Facebook, Google Ad Words, Google display network, re-targeting/re-marketing (those ads that follow you around online), Geo-Fencing/Geo-Targeting, 24/7 Boat Selling Machines and much more. Worried it will all be too expensive? 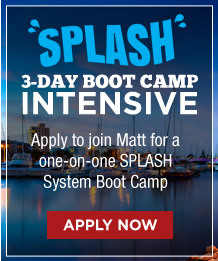 You can get started for as little as $1,500. Ready to dominate your local market area with a profitable digital marketing strategy? If so, click here to schedule a one-on-one strategy session call with Matt Sellhorst to discuss your current situation and goals. Then, his team will put together a program that utilizes the most impactful strategies for your area, brands and goals. Take advantage of a free one-on-one strategy session. 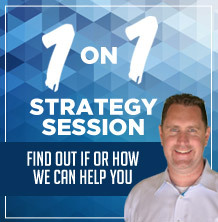 During the strategy session, Matt Sellhorst will dive in to your current opportunities and create a plan with you to make next year an enormously profitable one!